Jeremy serves on the advisory board of Pennington Partners & Co. Jeremy is CFO of the Altman Foundation, a 103-year old foundation making grants in New York City with a focus on health care, community building, and the arts. Prior to Altman, he was CEO of Spouting Rock Consulting, an investment consulting firm in suburban Philadelphia focused on providing advice and diligence services to ultra-high net worth families. Before that he had established and run a single family office for the owners of Continental Grain, in addition to investing on behalf of the corporation and helping to run the pension plan. 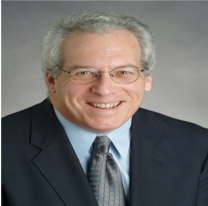 Mr. Tennenbaum has held senior roles at Seagate Technology, Wellington Management Company, and Salomon Brothers Inc. He holds a master’s degree in finance from MIT's Sloan School of Management and a bachelor’s degree in politics and intellectual history from Princeton. Jeremy is an experienced board member, has served on numerous investment and audit committees, and is an active participant in professional organizations. In addition to being president of the CFA Society of Philadelphia, he serves as a director of the Foundation Financial Officers Group and of Drexel Morgan Capital Advisers; presently serves on investment committees for Main Line Health and two private foundations; and is on the North American Advisory Board for MIT’s Sloan School of Management. He has organized numerous conferences and programs and has delivered dozens of presentations on various aspects of investing and issues facing non-profits. Jeremy and his wife Isabelle live in Wynnewood, PA. They have two grown children.